Sports Laundry Systems dryers feature a moisture-sensing system that automatically stops the dry cycle once the load reaches a preset moisture level. This prevents over-drying and fabric damage. 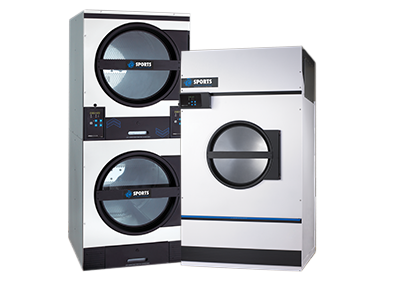 Available in multiple capacities and configurations to meet athletic laundry production needs and space requirements, Sports Laundry Systems dryers offer a quick dry and superior efficiency.